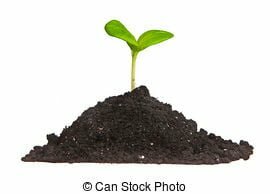 I’ve got basically clay instead of soil. What I was doing before is on the first image. They killed the seedling almost every time. 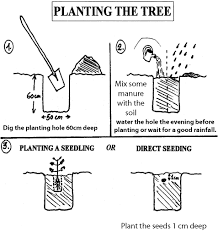 On the second image is what I am doing now: removing the grass, and then just piling a heap of soil right on top of clay – the tree or bush then does all the rest of the work and the roots of the tree do not rot.